Solo Trip Day 1: Don’t Stop Believing! 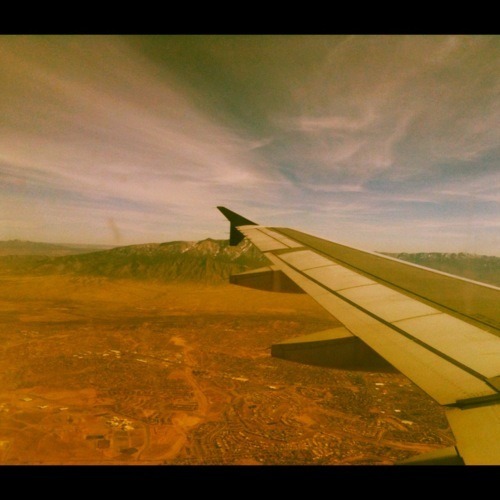 I’ve arrived in New Mexico! I left Minnesota in a foggy haze (literally) and was welcomed by the site of mountains and blue skies. It. was. awesome! Even the 50-degree weather felt amazing (it is February after all). 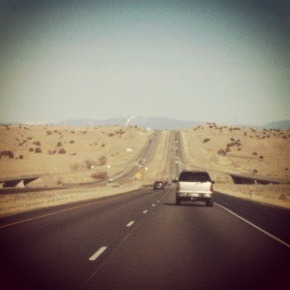 The drive from Albuquerque to Santa Fe (about an hour) was stunning. Mountains on every horizon popped up in the midst of a burnt red and dusty orange landscape and was topped off with a crisp Southwestern sky…I was thrilled! After checking in to my hotel and stopping by Trader Joe’s for provisions, I crashed. The combination of being tired from traveling and the anxious anticipation for the trip caught up with me. I ended up staying in my room for about an hour or so and then decided I needed to get my rear in gear. I had no idea where I was headed but I popped on Cerrellios Road (a main drag in town) and headed north hoping I would find the Santa Fe Plaza. After letting my “inner GPS” guide me, I arrived in the center of old town Santa Fe. Here is where I started to get a little nervous. Wow. I really am alone. I’m free-wheeling around this new state..alone. Is that person looking at me funny? Why is that guy following me? Oy. I do not like feeling vulnerable. That is a toughie for me…for me, it means I’m out of “control.” But, I know deep down, I am just fine…and I am. Yeah, but you know what, I still am a little nervous! I debated for too much time whether or not I should go out to dinner, or just munch on my buffalo jerky, blueberries and maple leaf cookies from Trader Joe’s. But, after reading all the comments from my last post…I have to be brave. I chose to do this, so I should (in the words of J.Lo) “you can go hard or you can go home.” And that means…sitting at a table by myself and eating! What a concept! I did it! Alright, that’s just a lovely glass of cabernet, but I did in fact eat a meal in the company of one (I indulged in a great bison burger, if you were wondering). 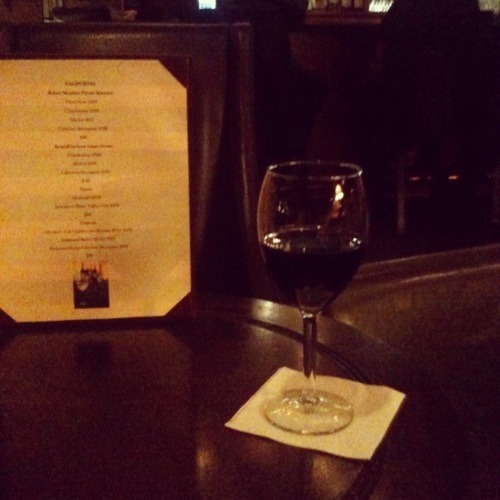 The experience wasn’t so bad…but I do have to be honest, I ate in the bar area of the restaurant. That still counts right? I may have talked a little fast (nervously) and payed a little too close of attention to my iPhone but…I did it! Here’s to another brave day tomorrow! And I’ll let you know where I’m headed next!